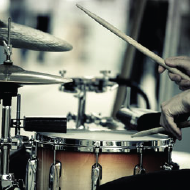 Learn to play your favorite music as a drummer in a band! That's why you've come to this page, and that's exactly what you can do usually after the first lesson! No matter your age, or style of music you want to play, I can teach you. It all begins with fundamentals, and the rest comes from your heart. These are my favorite videos from the best drummers and percussionists in the world!